College Football Guys.com: Coach Mike Leach - "A Real Man of Genius!" 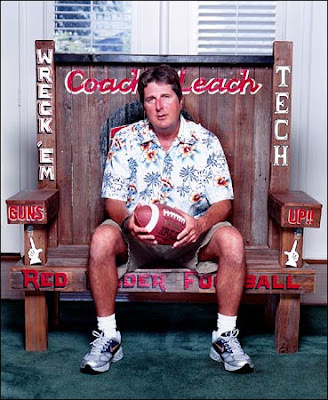 Coach Mike Leach - "A Real Man of Genius!" We salute you Coach Mike Leach! You are indeed a "Real Man of Genius!" You taught us everything we need to know about dating, pirates, email, earning interest, dealing with concussions, even predicting the weather. This link will take you to the best song you will hear all day. Final Top 25 for the College Football Guys!